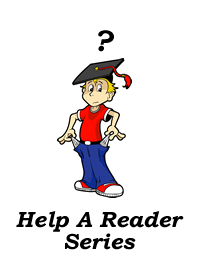 Tag Archive | "Help A Reader"
I receive a number of questions related to the financial aspect of the college experience. 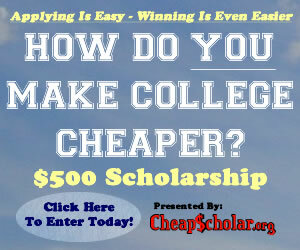 I respond to many of the emails directly but every now and again I like to share some of the questions on CheapScholar.org so that we can all learn from each other and maybe provide a little bit of a support group for our fellow readers. The following story was brought to me by a young man named Adam. As you read through his situation, you may think that his scenario is unique, a little scary, and maybe even quite hard to stomach. However, I assure you that Adam is not alone and there are certainly others that are experiencing similar situations – just not maybe quite as severe as Adam. Read Adam’s story and feel free to leave any advice, comments, or questions below. This situation is going to sound very “cartoonish”, but I assure you it is no joke and a fact that I’ve just recently been slapped in the face with… I myself was brought up to highly value the dollar by my family so I still don’t quite understand people who abuse both money or “bad” debt (credit cards, auto loans, student loans & etc). By 27 years old I have saved very well on my own, pay my credit cards off in full every month, have an excellent credit score, hold a steady well paying job/career, have purchased and own multiple pieces of real estate, have a healthy 401K, have an active brokerage account I trade in frequently and other misc investments. Generally I am ALWAYS trying to learn how to invest and manage myself better financially; I have a spreadsheet for everything. I feel I need to give this brief background so that one can understand better, within a few sentences or so, the personal value that I place on managing one’s money. The worst part about all this is that no she has not been training to become a Doctor or Lawyer. She got her undergrad, master’s and is now just finishing up an Advanced Education Specialist Degree, all in Psychology, and all of which will put her into a public school system paying her next to nothing. She is truly a sweetheart, is always wanting to learn/challenge herself educationally and has never (since I’ve known her) been careless spending with credit cards or the like. Her only real desire career-wise is to help everyday and work with mentally disabled K-12 students, she truly is a saint. In saying that, now her loans are plentiful, come from every conceivable lender, are comprised of every loan type and amount & most of which are unfortunately private rather than federal. I have plenty of moral and personal issues with this whole situation, but none of which I am willing to render an opinion on personally until I can help her figure out and start to climb out of this egregiously deep financial hole she has somehow gotten herself into. The story stems even deeper back to incredibly naive and irresponsible parents that created this loan nightmare for her; they “withdrew” or took out every loan disbursement amount and paid her tuition/expenses for her through the 7 years… My girlfriend, now only 25 years old, truly believed that a portion of her college had been being paid for by them and other family means, and that they certainly would have told her years ago if it was ever becoming a problem as terrible as this. What boggles my mind, and I guess where my question(s) come in are how can the federal and private student loan entities possibly lend to one individual an amount of money this massive??? How has she racked up student loans of nearly $50k/yr??? To me these loan entities are borderline criminal, and seem completely vulturous in nature. Honestly this whole situation seems very similar to the Real Estate lending entities that have recently destroyed soo many lives/families/homes thru lending anyone and everyone home mortgages well outside of their financial wherewithal’s. I can only research soo much and have no idea which way to go from here. I don’t even know which way is up in all of this. Any insight, direction or “miracle” would be wholly appreciated at this point… Please help!!! SOS! I recently received a few good FAFSA questions from a reader (related to assets) and I thought that it might be a good idea to share them here on CheapScholar.org. Question 1: My family and I have a business that we run and I am wondering if we need to include the assets of that business on our FAFSA? Question 2: My family and I established a LLC and that entity currently owns the building in which our business resides. We rent it from the LLC. Does that building need to be included in my asset calculation for the FAFSA? Answer 2: The quick answer is no. As long as the property is deeded to the LLC and not the actual family members AND the LLC qualifies as a small business, you don’t need to report the building on your assets. Now if the property was deeded in the family’s name, then you would be responsible for reporting your percentage of ownership of the asset on your FAFSA. So, if the building is worth $225,000 and you are one of three family members recorded on the deed, your reportable asset is $75,000. Question 3: Our family (5 of us) owns a farm. We don’t reside on the property and we rent it out to farmers for agricultural use. Do we need to report the farm on the FAFSA as an asset? Answer 3: Yes, you would have to report 1/5th of the asset value on your FAFSA. Typically family farms are excluded from the FAFSA but since you do not live on the property and you are not materially participating in the farming, it does not qualify as an asset exemption on the FAFSA. And… starting a small garden on the land doesn’t constitute “material participation” in the farming aspect! 😉 “Material participation” usually means that more than half of the family’s income is derived from the farming operation. Question 4: Our family (5 of us) has a cottage in Canada. Do we need to report that as an asset on the FAFSA? Answer 4: Yes. You will need to report 1/5th of the asset value on your FAFSA as long as your name is one of the five on the deed and the cottage is not your permanent place of residence. I think those were some tough questions.. or at least questions I don’t encounter on an every day basis. I appreciate the challenge. If you think you have a tough FAFSA question that you would like to toss my way, please don’t hesitate to drop me a line. I always enjoy hearing from our readers and I am always glad to help! I routinely get emails from readers with various questions about paying for college, saving for college and the financial aid process. I encourage these questions because not only do I get the opportunity to assist a family but it also helps me to identify any trends in college funding that are impacting the families that I work with day in and day out. Some questions/answers I post on CheapScholar for all to learn from and others I just respond to directly.So if you ever have a question – drop me a line! I don’t have all the answers but I will do my best. Question: My husband and I are going through the motions of what will ultimately end in a divorce. It has been fairly amicable and basically it is up to us when we want to pull the trigger and finalize the paper work. Given that we have a high school senior daughter that is going through the college search process, I would like to know if there would be any benefit (or penalty) on our FAFSA/Financial Aid based upon when we file for our divorce? A divorce can actually sometimes be a good thing when it comes to your FAFSA and the Estimated Family Contribution (EFC). The FAFSA states that it just depends on which parent the student decides to live with or gets the most support from. If they live with (or get the majority of their support) from the parent that has the most income and assets, then it will probably result in a higher EFC. However, if they live with (or get the majority of their support) from the parent that has the least income and assets, then it will probably lower their EFC and make them more eligible for need based financial aid. So, to answer your FAFSA timing question… Depending on who makes the most money and who is responsible for providing the most support for your daughter, a divorce may have an impact on your FAFSA situation. From a timing standpoint, if you decide that the divorce is going to favorably help your situation, you need to make sure that the paperwork is finalized PRIOR to filing the FAFSA. When you file the FAFSA, you have to answer the questions based upon your status at the time of filing (divorced or married). I hope this information helps to answer your question. If you have a follow-up question to this one, please don’t hesitate to drop me a line or leave a note in the comment section below. Should I Negotiate My Financial Aid Package? Just got this question from a reader and I thought it best to respond here since it is one of the more common questions I receive. When you talk about negotiating your financial aid package it kind of cheapens your college experience because it sounds like you are wheeling and dealing on a used car lot. You will never be able to compare the value of your education to that of a used car but it is possible to look at the transaction with a similar approach. 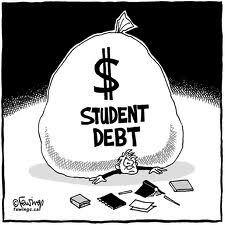 The first thing you want to do is establish a trigger point that you feel would require you to negotiate your financial aid package. For some families the trigger point is just the mere fact that they didn’t get the amount of financial aid or assistance in which they were planning. For other families the trigger point is reached when they get an extremely generous financial aid package from one college and not the other (and they were kind of hoping to go to the “other” college). From experience, I can tell you that the 1st or 2nd response above is probably going to be the norm. The important thing to remember is that if you don’t ask, you more than likely will not be able to garner anything extra in the form of scholarship assistance. As your student is going through the college search process, they will be interviewing with admission counselors across the country and it is very likely that important information will be brought up in one interview and not another. 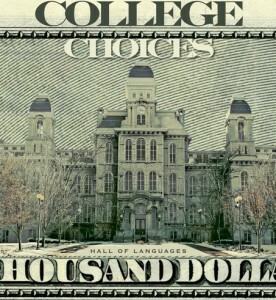 This information (or lack of information) may be the driving force for one school to provide a larger financial aid package verses the other. So, when you get drastically differing financial aid offers, it doesn’t always mean that one school is less generous than the other. The “more generous” school may have just gotten something out of the interview process that the other did not. So, if for some reason you receive a large financial aid package from one school vs. another, be prepared to send a copy of that award to the school that you are negotiating with. It will definitely help them when they are researching your situation and trying to see if any additional funding is available. (Q.) My husband took a buyout several years ago, and we were advised to take SEPPs payments from the pension to help get us through his subsequent time of no employment. The trick was, we had to keep taking payments till he turned 59.5. These payments represent half our income, and make us look far more well off than we are. Now my husband is turning 59.5, and thanks to the economic downturn we’ve been told we MUST lower the amount we take out or it will all be gone when we’re actually ready to retire! Is there any way we can explain to a school that these payments artificially inflate our income—we actually earn only 50K a year between us—and that the situation is about to change? There’s no way we can stop the SEPPs payments, live on 50K, and still contribute to our daughter’s education. In the case of atypical extra income, you will want to talk to the financial aid director at the school your student is most interested in and see if they have a way to review special circumstances. Assuming they do, you can explain your inflated income situation and how it is about to have a drastic change in the current year (assuming you discontinue your SEPP withdrawals). They may not be able to do a lot but they certainly can’t do anything if you don’t talk with them.